Mangaluru, Dec 07, 2017: Minimum Import Price (MIP) for pepper to protect the interests of pepper growers has been fixed by the Union Ministry of Commerce and Industry on the proposal of the Spices Board for fixing the cost, insurance and freight (CIF) value of Rs. 500 per kg. The decline in the domestic pepper price owing to cheaper import of pepper from other origins has been a major concern among pepper growers. Pepper prices have gone down by nearly 35% in one year and have resulted in a lot of hardship for pepper growers. Since most of the pepper-producing countries are in the ASEAN region, there have also been apprehensions of pepper from these countries, being routed through Sri Lanka taking advantage of lower duty under SAFTA and ISLFTA, for availing concessional import duty. 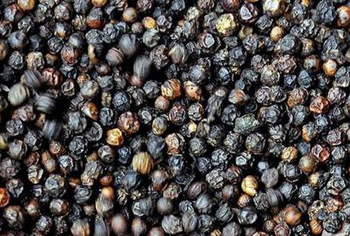 Farmers’ associations have demanded taking of stringent measures, including fixing of Minimum Import Price for pepper, to prevent cheaper imports of pepper into the country from other origins, a release from the Press Information Bureau stated on Dec 6, Wednesday. Fixing of Minimum Import Price will help in improving the domestic price particularly when the harvesting season of pepper is fast approaching, it said. Meanwhile, Nalin Kumar Kateel, DK MP, welcomed the decision. In a release, MP. Kateel said that pepper growers had been urging the government for the same. According to Konkodi Padmanabha, convener, Consortium of Pepper Growers’ Organisation, so far there was no MIP for pepper. The government’s decision will help pepper growers in the State, particularly in the three coastal districts and Malnad districts, including Shivamogga, Chikkamagaluru, Hassan, and Kodagu. Price of Indian pepper which was Rs. 650 last year has dropped to Rs. 380 a kg now.